As Indian Armed Forces were driving the invaders out, the idealist Nehru, the then Prime Minister, in consultation with the Governor General Lord Mount Batten, decided to take the matter to the UNO. On 31st December 1947 he, in his idealism, also offered plebiscite in the U. Kashmir; although legally and morally India was not bound to do so. Believing in the ideals of democracy, Nehru had offered this so that the people of Kashmir could decide their destiny themselves. Other nations and people may find it difficult to believe that how could a nation ever be so unselfish (foolish?) so as to leave a ‘heaven on earth’ for the sake of an abstract ideal. As a proof of India’s faith in idealism, may I offer the example of Bangladesh? India sacrificed heavily, both men and material, in getting Bangladesh liberated from the fanatic Pakistan; and then left it entirely free for Bangladeshis to rule their country. As it turned out, this was not in the interest of liberal Bangladeshis because soon the fanatic elements murdered the Father of Bangladesh, and militarily took control of the new-born nation. Bringing the subject back to Kashmir, on 1st January 1948 Nehru unilaterally declared ceasefire, which was not reciprocated by Pakistan. All such actions should leave no doubt in any body’s mind about India’s intention which was and is that Kashmir should have genuine democracy. But POK continues to be occupied by Pakistan, and J&K is trembling under Pak supported terrorism. Non-violence : Still An Impracticality? Today we can easily blame Nehru for being impractical, but let us see the psychological environment at that time in India. India was feeling highly elated for having earned its freedom through non-violence, though at the cost of immense sacrifice of human lives and suffering perpetrated by British Power. This was the first successful major non-violent revolution in the world. It may be worth noting that Jinnah and his Party ‘Muslim League’ had not sacrificed anything, thus they got Pakistan for nothing. At the time of partition, while the populations were transferring themselves from one to the other nation, there was terrible violence almost all over the undivided India. In this inhuman massacre of innocent peoples, Hindus had suffered very much more than the Muslims. This was so because a significant number of Hindus were influenced by the principle of non-violence; and Gandhi went to areas, where Muslims were getting the bad taste of their own medicine, and pacified violent Hindus. Nothing like this happened in Pakistan, on the contrary Pak Government helped the violent Muslims who were killing Hindus. The Muslim League had asked for a separate Muslim nation from secular India, because they were driven by hatred for Hindus. Hindus did not hate Muslims otherwise how could they welcome and invite Muslims to join the non-violent ‘Freedom Movement’ led by Mahatma Gandhi. Obviously a large portion of Muslims had faith in the Hindu’s ‘tolerance’ and in the secularism of India, and they preferred to stay in India rather than go to Pakistan. India has the second largest Muslim population in the world. Nehru thought that both legally and morally Kashmir belongs to India, therefore UNO would do the justice, and another major problem would be solved non-violently. And thus India would set an example for promoting non-violence in the violent world. Obviously Nehru had not understood British machinations against India. British were extremely unhappy to leave their mine of gold – India – and naturally were not friendly to India. They had no desire that India should make technological progress for they very badly needed India to remain a market for British goods, without which they would lose the economic leadership of the world. Unfortunately, in the Kashmir crisis, the US not only supported its long time ally Britain but also had an axe to grind itself. It needed a useful base for its forces against USSR, and Pakistan was suitable from all angles for the purpose. Some flimsy mistakes like dotting of i’s and cutting of t’s etc were found in the ‘Instrument of Accession’ which was signed by Hari Singh, and already accepted by the legal authority - Governor General of India - Lord Mount Batten. Consequently U. Kashmir was not accepted as a part of India although, based on its confession, Pakistan was declared an aggressor by the UNCIP, and was asked to vacate its aggression on 13th August 194812 . Pakistan has never complied with that resolution and yet has continuously got support of the UK and the USA. After a long time, on 1st January 1949 a formal ceasefire was signed between Pakistan and India. In 1961-62 India had suffered heavily with a war against China. Pakistan thought that it could take advantage of this weakness. Despite the mutually agreed ceasefire under the auspices of UNO, Pakistan attacked India in winter of 1965, but got beaten. (As per the Agreement of Tashkent (1962), Pakistan got all its territories inclusive of POK back which were won by India in the war.) In 1971 West Pakistan not only refused the legal and moral right to democratically elected Mujib-ur-Rahman of East Pakistan to become the President of Pakistan but also attacked it and committed most inhuman atrocities on citizens of East Pakistan. As a result East Pakistan rebelled, and with the help from India became a new Nation – Bangladesh. (India not only defeated Pakistan badly but also arrested 91000 Pakistani soldiers.) It should be noted that Pakistan was formed on the basis of hatred against Hindus, and on the faith that their religion would keep them united. Result is there for every one to see. In 1972, an agreement was signed between India and Pakistan, in which both nations agreed to respect the line of ceasefire till the issue gets finally resolved. Having lost three wars to India, Pakistan, from early eighties, started sending terrorists in to Kashmir and brain washing the tolerant Kashmiri Muslims, and murdering Hindus, destroying Hindu temples, killing soldiers and police personnel of J&K. Aircrafts were hijacked. Innocent people all over India were killed by the terrorists – some of the terrorists are Kashmiri, some Pakistani and some even from other Islamic countries. During winter land around most of the ‘Line of Control’ (LOC) gets buried under heavy snow. After Simala Agreement it was expected that Pakistan would respect the LOC, and for many years Pakistan did appear to be doing so. In winters extremely harsh conditions prevail in LOC areas; e.g. Dras near Kargil is the second coldest inhabited place in the world with temperatures going below -50 degrees C. Therefore, normally, in winters the surveillance on LOC is reduced to minimal, by either side. Taking advantage of this fact, Pakistan made a brilliant plan to attack Kargil with maximum surprise. In a few winters they entered the area beyond the LOC in to India, near Kargil, and built bunkers, stored arms and ammunitions, and other logistics materials. And when they thought they could win Kargil they attacked in April-May 1999, before the summer working conditions. Indian side was really caught napping in their blankets. Indian Forces also could not have come in numbers because the only road to Kargil should have remained snow bound, but for an early summer. A question naturally arises as to how Indian Intelligence could fail so miserably! This question is relevant to understand the Kashmir Problem. During winter, apart from radio and air reconnaissance, the main source of intelligence is Bakerwals and Gujjars living in those areas. They gladly convey the news of Pak infiltration. To counter this, first, the dominating and separatist Sunni Muslims of Kargil area convinced the Governments of J&K and India that they be separated from the Buddhist-dominated Ladaakh administrative control, and be made an administrative region under Kashmir. In Ladaakh area Muslims are not in majority, but in Kargil they are in absolute majority. Then Pakistan deliberately increased bombing in that area, and at the same time the local Sunnis increased persecuting the non-Muslims and non-sympathetic Bakerwals and Gujjars etc to drive them away from that area. So almost no Bakerwals and Buddhists were there to inform about the infiltration, and thus total surprise could be achieved. That is why this plan was brilliant. It is another story as to how bravery, strategy and superior tactics of Indian Defence Forces could repulse the brilliant attack, albeit at a great sacrifice of both man and material. Here again the impractical idealism of Government of India could be seen in their order to the Defence Forces to not cross the LOC, even while defending their area. The impractical strain of idealism in Indians costs them heavily, every time. The surreptitious attack on Kargil Sector beyond the ‘Line of Control’, which was accepted in the 1971 Simala Agreement by Pakistan as inviolable, again confirms that promises made by and agreements accepted by Pakistan are unreliable. After fighting three wars, Pakistan has realized that they cannot win a war with India. Therefore they have chosen the most inhuman way – terrorism with support from international Islamic terrorist organizations. This terrorism has not only caused heavy losses to material, military personnel but also more importantly it has dented the tolerant psyche of Hindus. All Hindus have been driven out from Kashmir after a planned chain of murders of many prominent Hindus. This low intensity war is causing a very heavy financial burden to Indian exchequer and thus obstructing the progress that India, specially J&K, could otherwise make. The Hindu-Muslim riots are increasing in India in frequency and intensity. Now Hindus react very sharply and violently to a riot started by Muslims. Gujarat is a case in example. But what is still remarkable is that burning of Hindus at Godara in Gujarat has resulted in a violent reaction in Gujarat only, the rest of India not only maintained its peace but also condemned the violent reaction. Earlier in History, by and large Hindus had not been reacting in such a rage lasting for so long. Now the trend of intolerance is such that even Hindus feel sad. The fate of military and police personnel safeguarding lives of Kashmiris, and maintaining law and order there would elicit sympathy from any human being. Though armed, they are easily visible and are easy victims. Terrorists are also armed but are not visible for they do not look different from the locals; therefore they always manage a surprise attack. At the same time security personnel are expected to be protecting the locals and not shoot unless reasonably sure of the terrorists. They cannot be trigger happy, and the terrorists can be as trigger happy as they like. The terrorists also kill the locals in sufficient numbers to terrify them in to co-operation. Can the Human rights Commission not see that the dice is heavily loaded against the Security Forces.? They invariably had been blaming Indian security, and seldom Pakistan Government and its terrorists. The loading of the dice can be easily seen in the ratio of terrorists killed to the security personnel killed. This ratio was very disappointing for a long time - about 1 security personnel for 3 terrorists. Since 9.11 this has improved slightly14 to 1 to 4. It is beyond my comprehension as to why western media is so sympathetic to Pakistan. Is it because media is not serving the truth but its own agenda, whatever it may be? Then should media command the high respect that it gets? Or is truth so difficult to judge? And, why does Pakistan invariably gain by a third party intervention. Is it because of under-dog sympathy syndrome? Not really, because even when the democracy in East Pakistan was being trampled under the military boots of West Pakistan, the US was sympathetic to West Pakistan. (After every war Pakistan did not have to pay any penalty for its aggression. It got back money and equipment in aid from oil rich nations, and USA etc.) 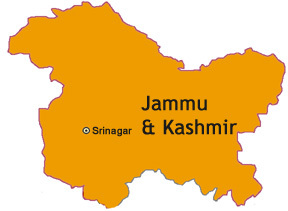 Ultimately despite being an aggressor, it is illegally occupying a third of the U. Kashmir. Was the idealism practiced by Nehru therefore impractical? The U.N. has proved incompetent in finding a solution to the Kashmir problem. The UN has, inadvertently, encouraged terrorism. Terrorism and drug trafficking help each other in increasing misery in the world. The problem of J&K is religious expansionism through terrorism, and not the so called, rebellion against an oppressive and occupational Government. Whereas the reverse may be true in POK. Ideal of non-violence is not yet practicable in the world. Religion does not guarantee unity of any nation, unless the religion is liberal. In a democratic nation terrorism should have no place, but in an open and democratic world terrorism still works. Terrorism can kill a long established culture of harmony and love among people of different religions as in J&K. Having suffered firsthand, the most powerful nation USA is now trying its best to eradicate terrorism, and it may or may not succeed. Successful fight against terrorism demands international cooperation, which US is in a position to get. India is unable to stop terrorism in J&K so long as it is being supported to the hilt by Pakistan through money, arms and ammunition, military training and the most prolific and cheap breeding ground for terrorists viz. madarasaas. Terrorism will not give Pakistan what it wants but will continue to increase misery and losses of innocent humans in J&K. This frustration may make Pakistan bold to wage a full fledged nuclear war. If terrorism is not stopped in J&K, danger of a nuclear war is very real and imminent.